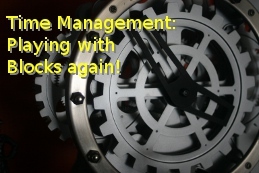 For effective time management we multitask at the project level using blocks of time. In the last post we looked at multitasking and how it hurts your productivity rather than helps. But we’ve all heard that multitasking is great and can help us be more efficient and productive. It has to do with the level at which multitasking takes place. One of the problems with the word multitask is that it really has different meanings. Well, maybe more like levels of application. What we talked about in the last post was going on at the brain level — in your brain from second to second. What we want to consider here is the project level — which deals planning and execution of projects. So how do we manage to avoid multitasking at the brain level while still making the best use of multitasking at the project level? Project Level Multitasking to the Rescue! When used properly, multitasking at the project level can help you become more productive. You will be more efficient and productive. Multitasking at the project level involves setting aside blocks of time throughout the day. You should divide your available time into blocks of 15 minutes to 2 hours. Each block has a single task assigned. During the block you will focus on that specific task. No brain level multitasking allowed. The idea is to maximize your focus on one single task to avoid the context switch penalty. Assign tasks to blocks of appropriate size and time. For example, you may want to schedule the first 15 minute block as time for email, phone calls and social media. Then a 1 hour block to write an article or work on the dining room table that you’re building for a client. Whatever tasks you’re planning to do today, schedule them appropriately. That means you’ll need to set aside a block of time to do the scheduling! So make sure you include that. Some people like to do that first thing. It gets you into the day. Others will take time at the end of the day to plan tomorrow. This allows them to release things. They won’t have to spend any of their family time wondering what they should do tomorrow? You need to figure out what the best technique is for you and do it. When you plan what things you will get done you’re free to focus on the task at hand, whether it be work related or family. Remember to leave slack for emergencies and other contingencies. If one task goes over time, the built in slack helps you adjust and compensate without ruining the whole day. It’s like expansion joints built into a bridge. Without them the pressure of day to day temperature changes would destroy the bridge. You may find tasks that seem to come out of nowhere — a customer has a problem that needs immediate attention, a friend is having a hard time and needs some coffee and chat time, etc. 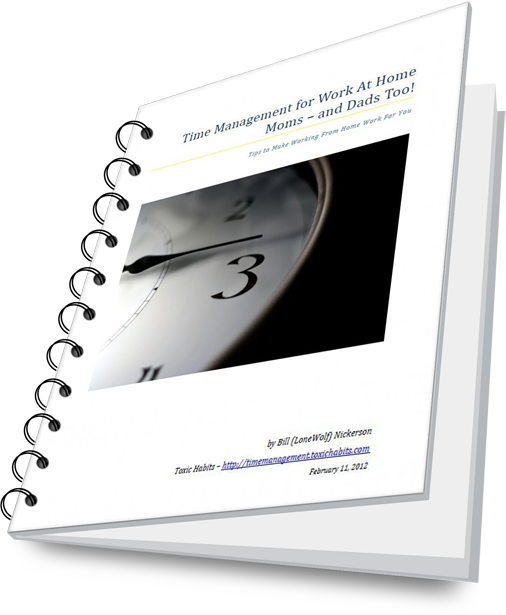 A rigid schedule doesn’t allow for these tasks to be added on the fly. But don’t get so flexible that you lose control. There is a fine balance you need to achieve here. Now that you’ve scheduled your tasks for the day, get into each block and stay there until it is time to change. You need to focus on the one task. Just that one task. Leo Babuata’s focus – a simplicity manifesto in the Age of Distraction has some excellent tips on learning to maximize your focus. Remember that you’re trying to avoid the bad effects of brain level multitasking here. So do everything that you can to help yourself remain focused on the task at hand. Some people like to have music playing to help block out other noise. Just make sure that you choose appropriate music that won’t be distracting to you. Kind of defeats the purpose! If you are easily distracted by the phone, email, Facebook and Twitter then close them. Close down your browser, or if you are working in the browser like I often do, close down all the other tabs that don’t relate to your task. Whatever it takes, learn to get yourself focused on the task and stay focused for the time you’ve allotted. Make sure that when you schedule the tasks that you will be doing today (or tomorrow as the case may be) that you plan to have the supplies that you need for those tasks. If one of your tasks is glazing some pots that you’ve been working on, make sure that you have the appropriate tools and supplies ready. If you come to the scheduled time and you don’t have any glaze then you will be stalled. Your plans will have to alter. Either you will have to go get the supplies you need or switch to another task. When you’re making your schedule, think ahead to what you will need for each task. You may have to schedule preparation tasks as well. When it comes to scheduling, you really need to get to know yourself. Learn how your circadian rhythms affect you. Understand your peak times for focus. We all have them. Make sure to schedule tasks that require peak mental and physical focus for those time periods as much as you can. You also need to know how long you can stay on a given task. It does you no good to schedule 2 hours for writing your manifesto when you can’t stay focused for more than an hour. That’s not to say you can’t learn to increase your focus. Just don’t plan unrealistically. I’m not talking about backing up your work (although that is always a good idea). What we’re talking about here is having a task that is ready to go if the opportunity presents itself. Suppose that you’re working on a 2 hour block writing some software for a client. Suddenly, you hit a roadblock. You need to get more clarification from the client about the feature that your coding for them. You won’t get a response from them for a couple hours. What do you do now? Timo Kiander (aka Productive SuperDad) has an excellent article on being prepared for unexpected time blocks that inspired me on this topic. That’s where your backup task comes in. This is a task that you know needs to be done eventually, but isn’t as critical as the tasks you’ve already scheduled. But when there is time available, you just jump to the backup task. Now that you know the difference between brain level and project level multitasking, you can start to make the most effective use of your time. You’ll get more done and have better quality work. And more satisfaction about your work as well. Just be careful that you don’t overdo the project level multitasking. You can get overloaded there too if you try to take on too many projects. So, what do you see yourself doing differently? What scheduling tricks do you use? What areas do you struggle with?